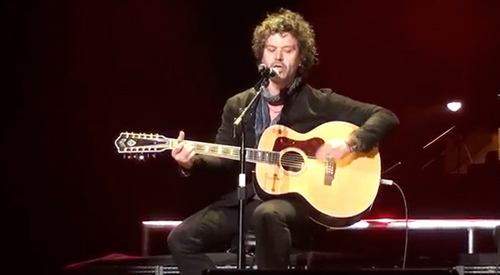 Doyle Bramhall II has been on tour with Eric Clapton’s band on a series of dates throughout the United States and Europe this year, and that road recently ran through New York for Clapton’s Crossroads Guitar Festival. Bramhall actually took the stage for a solo performance on a Guild 12-string guitar, which he played upside down. Watch Bramhall in action after the jump and visit his official website for more information. Guild D-125-12 is an Acoustic Nation Top 10 Affordable 12-String!